Appears to be holding down our beloved former Vol Josh Richardson as game clock expired with the game on the line. Any Kentucky chant sounds too much like roll tide ( not really), but those 2 schools ughhhh. You get my point? Because they incorporated blue and white checkers on their uniforms. She looks like Medusa with snakes in her hair. And they're both the biggest cheaters "in the country historically." We are the only team to ever beat Alabama 8 times in a row. About all time I'm not sure. I don't need a good reason to hate them. 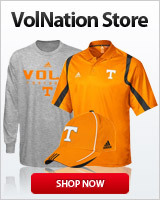 It comes naturally with being a Vol. Only reason I need is...they are kenSucky. Home of the number 1 PROVEN cheater coach ever in mens BB...caliFairy. I hope our guys are fired up, focused and stomp them by 20 or more! Because most of them are Alabama football fans in the fall. Do we really need a reason? Go Vols.